The new model of Y-harness from Hurtta is also known as an H-Harness. 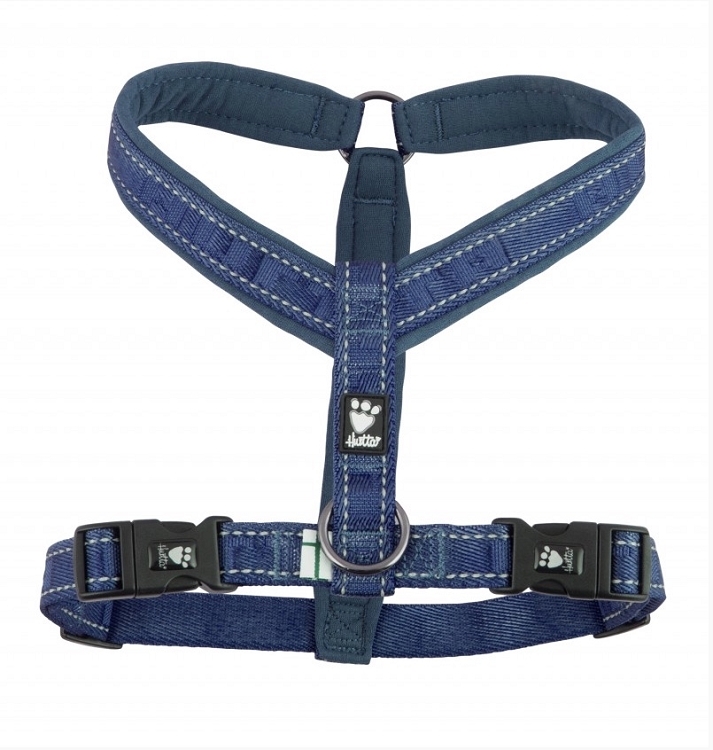 It sits further back from the dogs armpits than the original style Y-harness and is therefore ideal for dogs that have a tendency to be chafed behind the front legs. 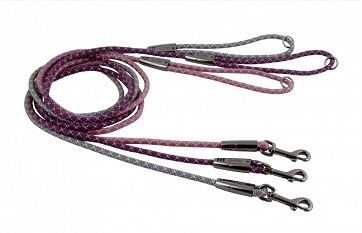 Also perfect for long backed dogs like Corgies, Basset Hounds and Dachshunds as the leash attaches further back on the dogs back. The Y-shape allows complete freedom for the shoulder and puts the pressure at the very base of the neck and sternum to protect the sensitive neck from pulls. As always padded with neoprene for comfort, and safety is thought of with 3M reflectors woven into the nylon straps. Adjustable chest strap where the size indicates how big the strap adjusts out. Available in the four new gorgeous colors from the Casual line: Heather (Purple), River (Blue), Lingon (Red) and Ash (Grey) in 8 sizes: 14" (35cm) - 39" (100cm). 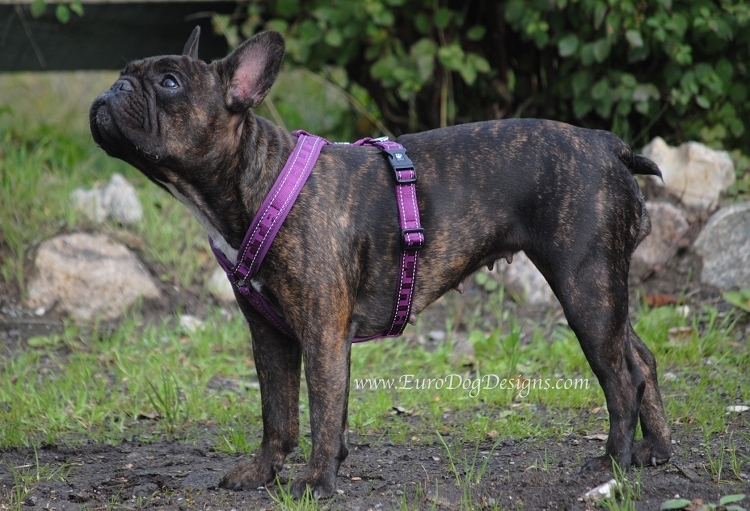 This is the ONLY harness that controls my strong 24lb Boston Terrier! 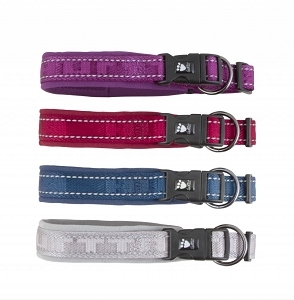 The girth adjustments on the 18-22" size are perfect for wearing under or over coats/sweaters/fleece. 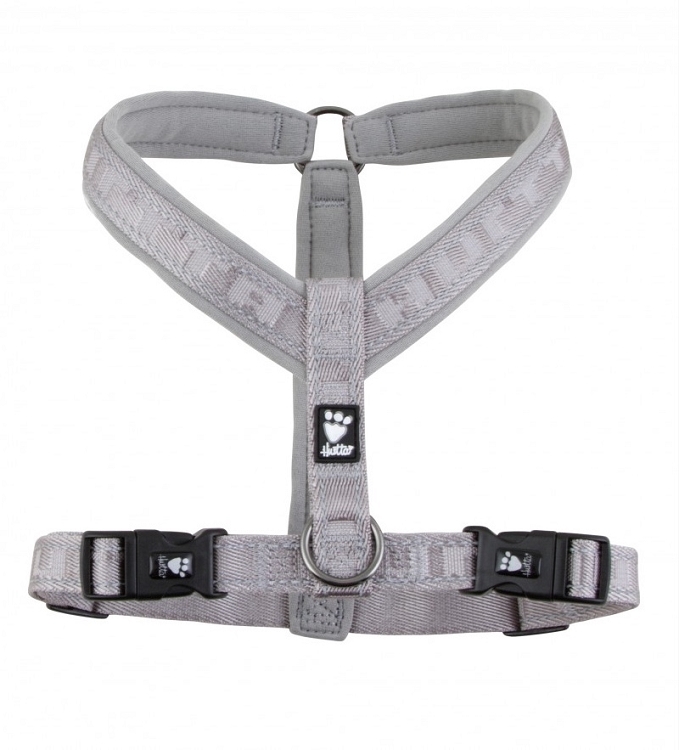 Two adjustable clips prevent the harness from sliding around her body and there is no abrasion or pressure marks. Excellent reflective detail for walks in the dark. Superior fabric ensure this harness will last a long time. Q: What size do you recommend for my 14 lb Pomeranian. Neck size 12inches 19 in Chest.? Will recommend size fit loose around her neck? Thank you. With the measurements given I would recommend size 22 for this Harness. The harness will lay farther down on the neck for a better fit. Q: How is the sizing on this harness? A dog with a 21" girth, 14" neck would be ok with the 22" size? A: Thank you for your interest in the New Casual Y-Harness. Yes the size 22" will fit just fine as long as the Girth was Measured with a finger under the measuring tape around the chest. Q: I got a harness before that was a 22" because of getting it over my corgis head. The girth is just about sized in the mid range. What size would I get in this harness? Thanks! The Casual Y-Harness is shaped the same as the 'New' Y-Harness model that you have in size 22" so you'll need the same size. Q: Is the bottom strap stitched in place to the bottom of the chest strap? It looks like it is but I wanted to make sure as we have a previous harness that isn't and it always shifts to the side making it uncomfortable. The Casual Y Harness does have a sewn in bottom chest strap now. It is also adjustable on both sides. 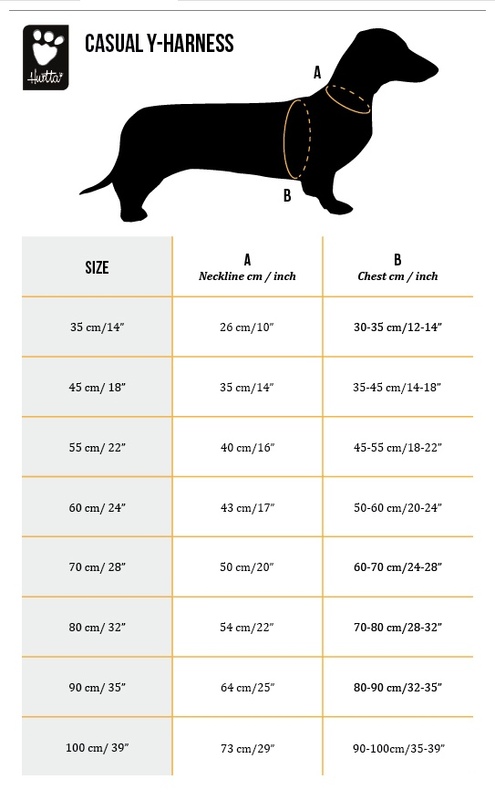 Q: My dachshund measures 13 inches for neck, and 17 inches around the chest. Is the 18 harness the correct size? Thank you! Size 18 goes from 14" to 18" so that is the one that would fit your dog.